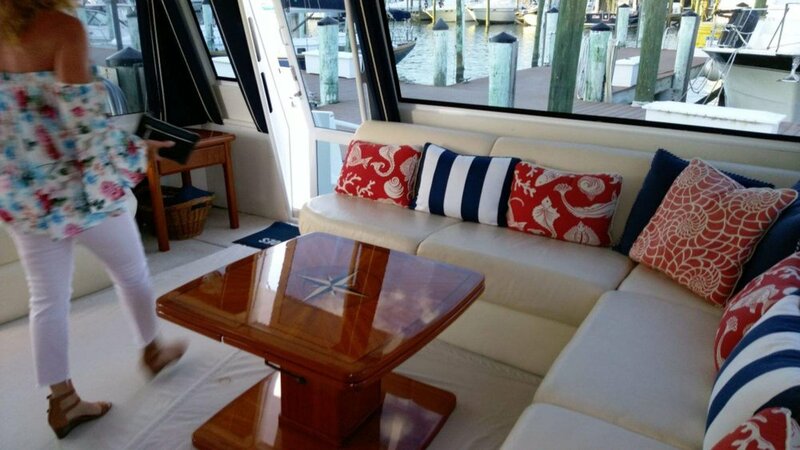 Looking for a boat cruise on a luxury vessel in Sarasota? This boat does book quickly so if your in peak season please book ahead. Highlights and Things you can do: Sit and relax aboard this 60 foot viking that has three bathrooms and three-four state rooms. It’s an beautiful setting to have a cocktail, or three, and enjoy the serenity of being away from everyone and everything. There is a bathroom on board for your use, no worries. Included: bottled water, soda, beer, bottle of bubbly. You can bring drinks (alcohol is fine) & food, but please nothing that will easily stain. Keep it classy. Don't forget sunscreen, towels, hats & sunglasses. Morning, afternoon and sunset tours available.